– This was truly rousing quartet playing, without a safety net in sight! – An evening made great by its intelligent, yet hot-blooded interpretation. – Every recital from this highly renowned string quartet promises to be as exciting and entertaining as the last. The Nomos-Quartett. 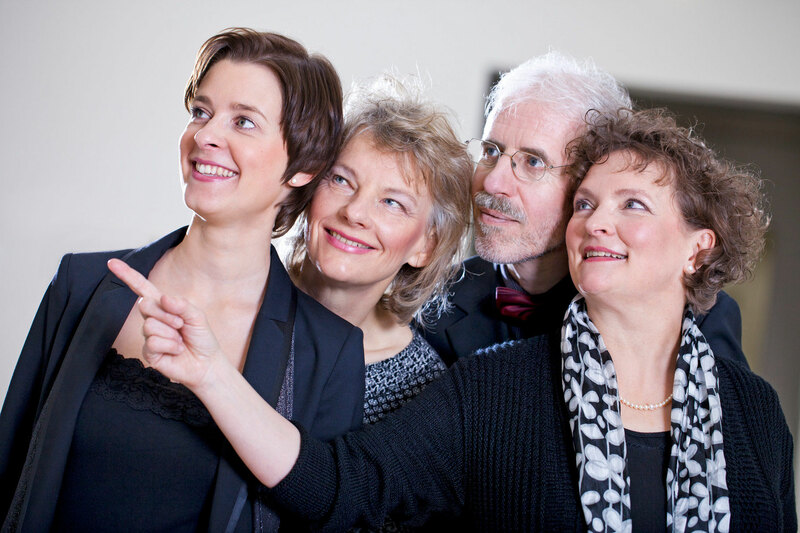 Celebrating its diamond jubilee, Manchester Chamber Concerts Society made the happy choice of this distinguished German quartet as one of the highlights of its gala season. The foursome delighted the audience with a masterly display of ensemble playing. We were treated to an exquisite reading of Beethoven’s quartet op.130. It was musicianship of the highest integrity. Schubert meets Crumb at the"Schubertiade". ...They didn't just sense Schubert's spirit in Crumb's "Black Angels", it was also tangible in the Quartet in D-minor "Death and the Maiden", which was wonderfully against the grain – exposing accompanying melodies, playing soberly where others indulge in pathos, or lyricising beautifully where others wouldn't dream of it. Schubert's standard repertoire became a journey into the unknown. The outstanding international reputation of the Nomos-Quartett was justified once again. In Robert Schumann's String Quartet in A-major, they brought out the confusingly refined asynchronisms of melody and harmony very effectively, and were met with huge applause. Nomos String Quartet. ... 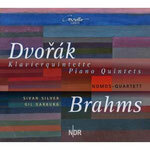 The splendidly sensitive and musical Nomos-Quartett gave a glorious performance of the Mozart "Dissonance". "Beethovenhaus". 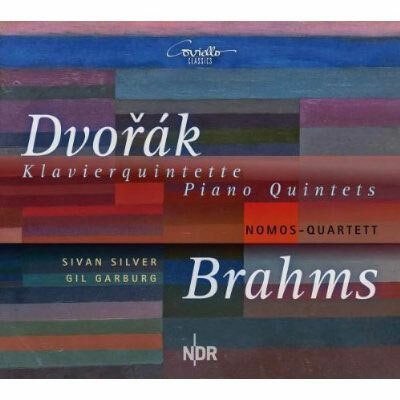 The Nomos-Quartett was in fine form throughout the three successive concerts of the evening, ably performing contemporary works alongside Franz Schubert, in which the aggressive side of the composer was beautifully highlighted.